We discuss how chemicals affect your landscape and the environment over time. Here at Soils Alive we understand that you put your family and pets first! But we also know you want your landscape to look beautiful. Your home is a source of pride and when it looks good, you feel good! If you think that you might have to sacrifice beauty for environmentally positive practices, you’d might be surprised. An organic plan can be both cost effective and grow a beautiful landscape. There is no need to add chemical fertilizers, weed treatments or pesticides to the landscape in order to keep it looking great. The effects of chemicals close to home. 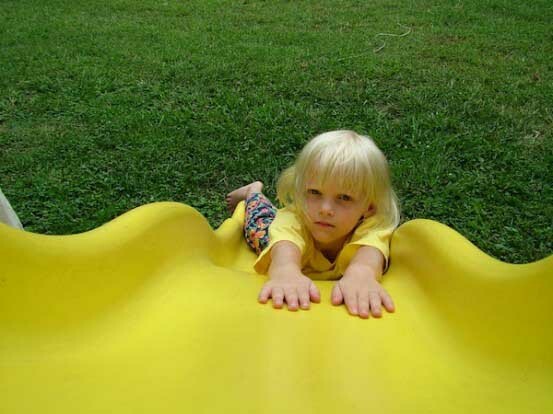 Do your kids love to roll around in the grass? Do your dogs sometimes eat your plants? If you feed your lawn and garden beds with chemically based treatments, there’s always risk they’ll come in contact with your family. If you’re worried about your family’s chemical exposure, now is a great time to think about transitioning to an organic plan. Organic treatments can be used in yards where the kids and pets love to play! The overuse of synthetic fertilizers can hurt your landscape. Over time, synthetic fertilizers and pesticides can deplete the soil of microorganisms that help your plants take up nutrients and water. Synthetic fertilizers might give your plants a quick boost of nutrients, but they also hurt the life in your soil. The bacteria, fungi, protozoa, nematodes and worms living in the soil are crucial to releasing nutrients your plants needs. Once the soil life is diminished your plants will struggle to take up nutrients naturally from the soil. They’ll then become dependant on the chemical supplements you provide and become more susceptible to pests and diseases. By using organic fertilizers, you’re not only feeding your plants but also feeding the soil. Healthy soil = healthy plants! Chemicals, your landscape and the environment. Chemical fertilizers and other landscape treatments are often derived from petroleum and natural gas. While there are many risks close to home when using these products, there are also risks globally. When we over-water our lawns or experience heavy rains, these chemicals are leached into the water runoff that ends up in the storm drains. The chemicals then become pollutants in our lakes, rivers and oceans. Natural bodies of water can experience algae blooms and fish die-offs and even our drinking water can become contaminated. As a conscientious homeowner, we understand that you want to know and understand all your options when it comes to caring for your landscape. For lots of information on how organics improve the quality of soil and reduce your family’s chemical exposure, visit our our blog. Then call us if you have questions!